The President on 13 August 2013 visited sites of the Hebei Small Cities and Towns Development Demonstration Project. He met with Liu Yongrui, Vice Chair of the Chinese People's Political Consultative Conference of Hebei Province to discuss ADB's cooperation and support to the province. 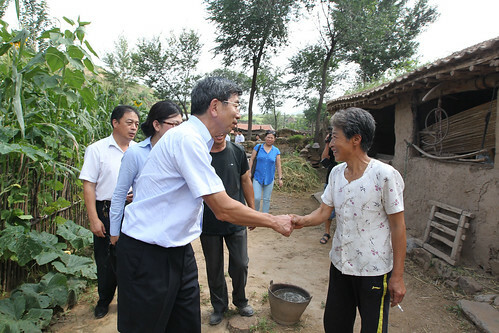 President Nakao also went to Luoyangou village in Northwest Hebei Province and talked to households. In this photo: President Nakao talked to villagers in Luoyangou, a poor village in Northwest Hebei province on 13 August 2013.